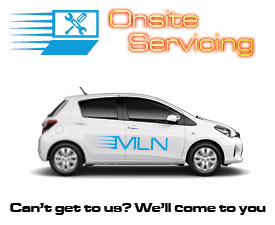 At MLN we aim to be your number one solutions provider for all your mobile computing servicing needs. 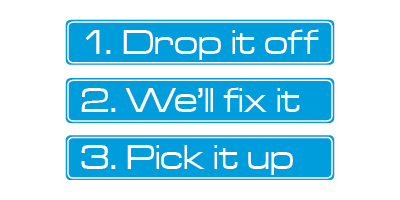 With our team of highly skilled technicians we strive to provide fast and cost effective laptop repairs. We repair all makes and models of notebook computers. Some of the makes we service are Apple, ASUS, Venom, Toshiba, HP, Compaq, Acer, IBM, Lenovo, Fujitsu, Sony, LG, Samsung, Panasonic, Benq and many more. We can supply a huge variety of laptop parts to customers anywhere in Australia. Some of these are laptop batteries, power supplies, memory, hard disk drives and SSDs, optical drives, keyboards and many more. We also stock a range of notebook computer accessories. These include notebook carry bags, docking stations, sleeve cases, backpacks, TV tuners and many more. MLN Technicians have been repairing and servicing notebooks since 1999. We receive the latest information regarding new advancements in the mobile computing industry. This ensures that our technicians can efficiently deal with even the latest notebook computer systems out there. We believe that our technicians are amongst the most experienced and finest in Australia. When commencing a notebook computer repair we make sure that the cause of the malfunction is thoroughly analysed through an inspection service. A diagnostics report is then generated for your laptop computer. This will state the exact cause and solution for your problem attached with a quote. We will notify you once inspection is completed and ask whether you would like to proceed or not with your notebook repair. Broken Notebook Casing, Hinges, Latches Etc. For service please visit an MLN service centre near you. A service centre can be found in any MLN store. For service enquiry’s on prices, parts and turn around time feel free to call any of our stores. 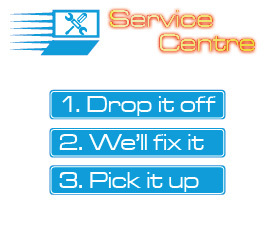 [Click Here] to find the closest repair centre to you.